Pitching in fantasy baseball is an interesting dichotomy. On the one hand, pitching has never been more dominant at any time in fantasy baseball. Sure, they played some Stratomatic back in the 1960s, but fantasy baseball has only been popular in the internet age. In the internet age, hitting has always been king. That has changed fairly dramatically in recent seasons. The flip side of that trend is the fact that you can count as many as ten prominent pitchers to either get hurt or underperform each season. The end result is that most smart fantasy players have been loading up on position players and simply identifying solid pitchers to add to their rosters later. Unfortunately, some pitchers still dominate the early rounds of most drafts and some of those guys had some hard seasons in 2014. Like with the position players, players can disappoint because of injuries or lackluster play. The upshot with pitchers is that they are also more susceptible to batted ball luck than position players. So, when we look at the disappointments we need to take special care to determine which category they belong (the injured, the underperforming, or the unlucky). C.C. Sabathia represents the downside of relying on pitchers early in the draft. Of course, few picked him that high this year because 2013 represented a down year for him as well. His ERA in 2013 ballooned to a robust 4.78, but he still hurled 211 innings and struck out 175 batters. He also won 14 games as well, so many fans still added him to their regular rotation with the expectation that he would hurl 200 or more innings since he had done it in every season since 2006. Unfortunately, he broke down in May and never came back. If you look at it simplistically, you would say that Sabathia has a decent chance to bounce back since he will be entering his age 34 season. Yet, it is hard to be too optimistic on a guy that has hurled nearly 3000 career innings (counting the post-season) and doesn’t exactly keep himself in the best of condition. He did lose weight before last season, but it didn’t matter. If healthy, he should still rack up enough wins and strikeouts to be a good bottom of the rotation starter in fantasy terms. Roy Halladay retired before the 2014 season under largely similar circumstances. You never know how many innings a pitcher has in their arm before it all goes to pot. It says quite a lot when someone that wins 15 games and hurls 206 innings can be considered a disappointment. However, it is definitely true in his case. 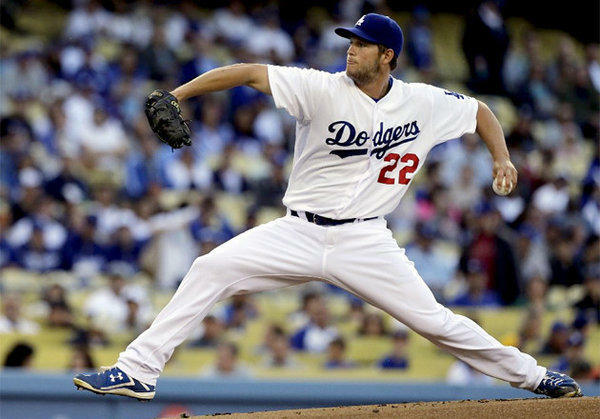 He’s won one Cy Young award and finished in the top five on two other occasions. He’s led the league in strikeouts three times, wins twice, and innings pitched three times as well. So, health wasn’t an issue last season as he missed only a start or two on the season. The problem is that he never seemed to get in the groove. He would have occasional glimpses of the old Verlander, but he never seemed to gain momentum. Good or bad, the Tigers are stuck with him through 2019 after he inked a 219 million dollar deal prior to the 2010 season. He’s half-way through that deal. 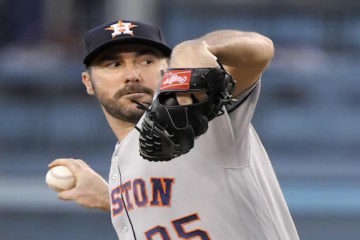 This is back to back down seasons for Verlander, so we can expect him to fall in most drafts. Some more advanced scouts look at numbers like BABIP (batting average on balls in play) and FIP (Fielding Independent Pitching). His BABIP in the last two seasons has been an abnormally high .317 and .320 respectively. His career mark is .293 and that is pretty close to league average. So, we could expect a return to normalcy in 2015. His FIP in 2014 was 3.74. So, he suffered from some bad luck last season. 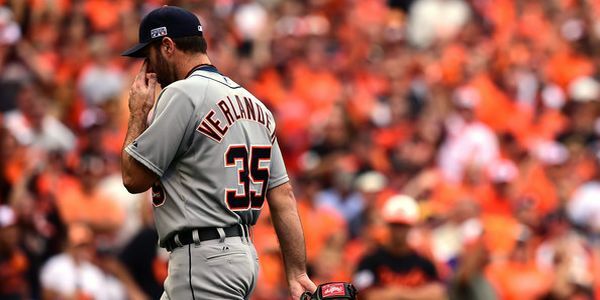 Other ERA estimates weren’t quite that good, so fantasy owners would still be wise to wait on Verlander a little. In my youth, the Astros had a pitcher named Bob Knepper. He had consecutive seasons with 17, 8, 14, and 7 wins. Of course, wins aren’t the end all be all, but the ERAs had a similar fluctuation (3.14, 5.27, 3.14, 5.13). Justin Masterson seems to be following that pattern. 2011 and 2013 were very good campaigns. 2012 and 2014 not so much. A trade to the Cardinals did not help matters much and now the veteran is a free agent. Hitting the market on the heels of this past season is not exactly what he had in mind, but maybe he will have an odd season comeback. The FIP numbers indicate that there wasn’t quite as much as a difference as the ERAs would indicate that he should bounce back some with some better luck. His K rate was pretty good a year ago as well, so Masterson might end up being a good sleeper candidate in most drafts. The key for Masterson will be getting his walk rate back under control. Last season, he had a career high 4.83 walks per nine innings. His career mark is 3.71 and it was a career low 2.71 in 2011 when he had his best season.